It’s now day 5 of my Advent Giveaway, and today brings a wonderful gift from Crabtree & Evelyn! 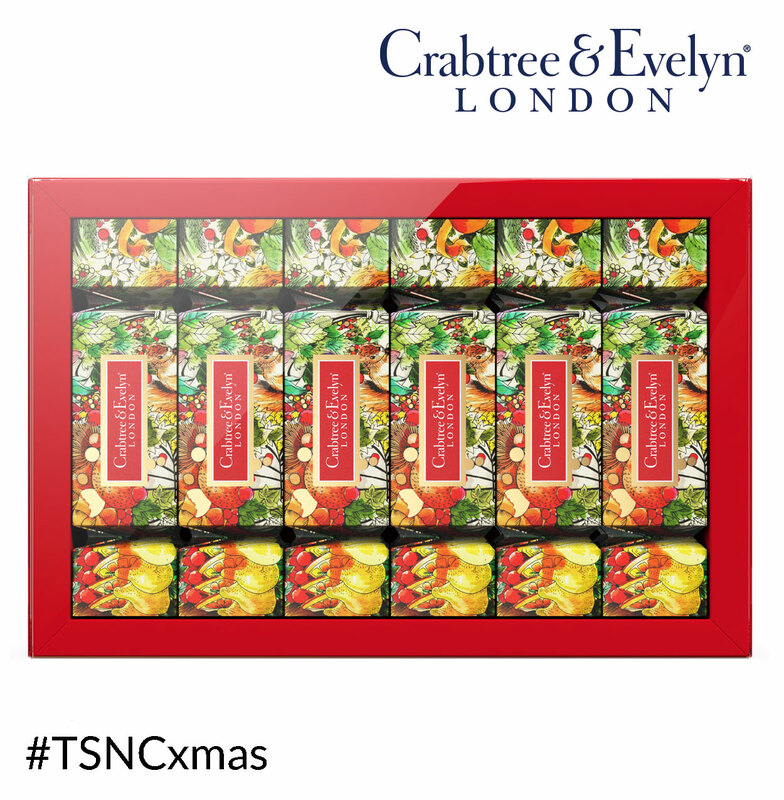 Treat the guests at your festive table to the pleasure filled surprises cached away in these gaily adorned, crackers. Fit for a feast, each one pops to reveal a pair of stocking sized, individually scented tubes of super nourishing Hand Therapy. LaSource 10g / Old World Jasmine 10g. Gardeners 10g / Pomegranate 10g. Pink Pineapple 10g / Rosewater 10g. Gardeners 10g / Citron 10g. Rosewater 10g / Venetian Violet 10g. Pear & Pink Magnolia 10g / Citron 10g. Rosewater 10g / Festive Fig 10g. Pear & Pink Magnolia 10g / LaSource 10g. Pink Pineapple 10g / Festive Fig 10g. Spiced Earl Grey 10g / Pomegranate 10g. Gardeners 10g / Pear & Pink Magnolia 10g. Florentine Freesia 10g / Festive Fig 10g.